Ben Christensen discusses the mental shift from imperative to declarative programming, working with blocking IO such as JDBC and RPC, service composition, debugging and unit testing. Ben Christensen is a software engineer on the Netflix Edge Engineering team responsible for communication between Netflix devices and its cloud services. Recently involved in open source projects such as Hystrix and RxJava. Hello Chris, This is a very nice post and I was waiting for such a post in fact. I have one question on Netty. Although I saw RxNetty in Netflix's Github site, but I am still not able to understand how you deploy the application inside Netty. Are you using some kind of container based on Netty? Ben covers questions like "why reactive?" 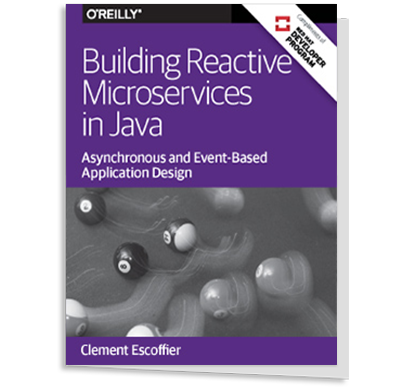 and "how to switch to reactive?" in a very practical, real-world style.